A few weeks ago, in my weekly card of the week post, I talked about how I think that simple is best when it comes to making cards. 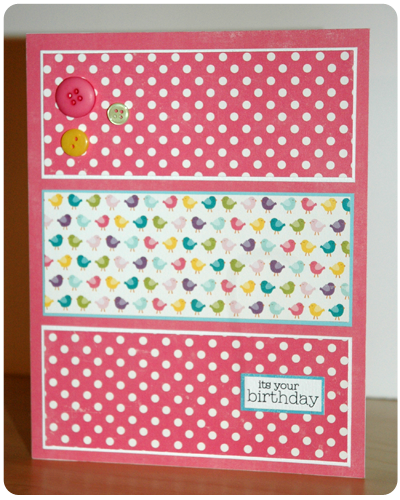 And nothing, absolutely nothing, is simpler than making a card from scraps. I keep all my scrap paper - neatly organized, of course - in a drawer-unit storage system so that it is super easy to find coordinating patterned papers and cardstock. This is a simple card that I made using scraps from my stash. A very simple design made completely from scraps.